Condition: Good; General age related toning as visible on scan. Please study scan carefully. Medium: Engraving on a vellin type paper. Rear blank. Original hand colouring. Print originates from book / atlas. 100% authentic. Size (in cm): The overall size is ca. 23 x 16.5 cm. The image size is ca. 17 x 13 cm. Size (in inch): The overall size is ca. 9.1 x 6.5 inch. The image size is ca. 6.7 x 5.1 inch. 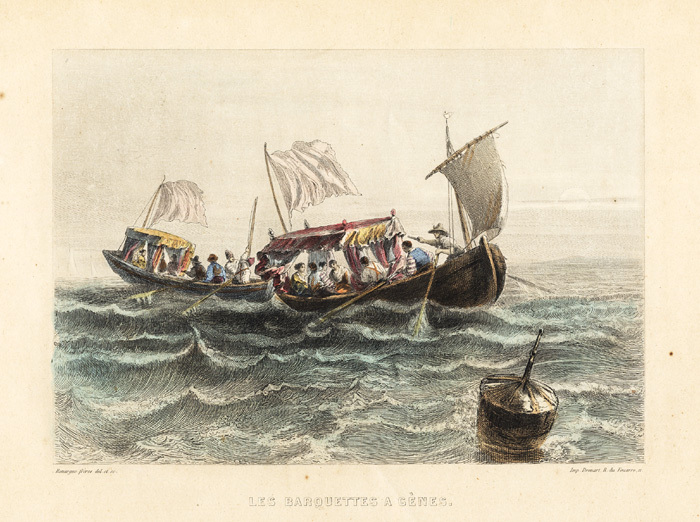 Description: Original old hand coloured antique print published in France ca. 1850. Artists and Engravers: A. Rouargue, French artist and engraver.